One Sunday recently I stood before my closet and tried to decide between my two go-to outfits for when I want to stay cool but also not go too casual: the maxi dress or the white linen pants. Like most women, as I pondered the white linen pants, I ran through that day’s schedule. Would there be any blatant opportunities for stains? I mentally checked that off my list with a big nope. No parties with punch today. No trips planned to my favorite Italian restaurant where I would assuredly walk away wearing a satisfied smile and remnants of red sauce on my clothes. The white linen pants it was. Oh yes, I remembered that we’d celebrated communion that day in the worship service. Our church uses the disposable communion set. Peel back one layer to expose the wafer, then peel back a second layer to open the juice. It’s barely a swallow of liquid but apparently I’d left a drop in the bottom of the cup. So when I pushed the piece of foil into the cup to keep my trash nice and tidy for disposing later, that thrust into the cup must have pushed the one juice drop onto my white linen pants in a fine spray of tiny purple dots. Fortunately, I didn’t need to worry too much about it, since I happened to have a bleach pen handy. A few strokes of the pen and voilà! I was clean and white again. No frustration. No guilt. Barely an interruption to my afternoon. Sometimes we treat grace like a holy bleach pen. Oops, I made a mistake. Let me grab my bleach pen of grace. Quick prayer to blot out the stains. And off we go as if nothing happened. Yet grace is so much more than a holy bleach pen. So much more than a moment where we seek forgiveness for our little mistakes. Grace isn’t meant to be just a moment-by-moment oopsie cleaning. Grace is meant to be a movement of God in and through our lives. Grace not only results in an internal change in our own lives; it also moves us toward actions that result in external changes in the lives of others. To discover the scope of grace we need look no further than the greatest grace moment of the Bible. In John 8 Christ meets an adulterous woman and offers her the kind of grace we all so desperately need. Yet the grace Christ displays goes far beyond the act of a holy bleach pen erasing sins by offering her his love and forgiveness. Yes, beyond washing her white as snow, he highlighted a greater issue in this story. Let’s dig a little to discover what this issue was and how it becomes a call to action for us today. In that culture, when someone was caught in sin, they were taken before the priest to be judged and for justice to be served. Christ could have rightly judged the adulterous woman and enforced their laws. However, the Pharisees knew Christ was in the habit of hanging out with sinners and they were hoping he would show partiality toward this one whom they had brought before him in an effort to trap him for not upholding the law. They failed to realize, though, that he would see their own sins of injustice. Let me explain. This story in the book of John is likely the first documented case of “The Man Code”: an allegiance in which men protect one another at all costs. That code puts the woman squarely to blame for anything that goes wrong. Make no mistake, according to the Old Testament law (see Leviticus 20:10), adultery was a sin punishable by death. But it was to be apportioned out to both parties. Yet in this story the Pharisees brought only the woman to Jesus. The workings of their man code was on full display! It was this injustice—unfair action or treatment—that Christ deemed more scandalous than the sin of the adulterous woman. Why? For he knew his death of the cross would cleanse the soul of the woman when she accepted his love and forgiveness. It would do the same for the Pharisees should they choose to repent as individuals. But it was the collective wickedness, the injustice the Pharisees were espousing that Christ wanted to stop. The adulterous woman was rightly condemned for her act, but what the Pharisees were trying to do legally actually happened long before she entered this scene. First John 3:20 tells us our heart condemns us, that God knows our hearts because he knows everything. This condemnation for sin was the very reason God sent his Son, Jesus, to die for us. Jesus knew his life would stand in the gap for this woman’s sin just as it does for our own. It was an introduction to his love and forgiveness that the woman needed, not condemnation. Thus he turned his attention first to the greater battle. The battle against injustice. Proverbs 17:15 tells us that he who justifies the wicked is an abomination to the Lord. The Pharisees, in overlooking the sins of the other party (the man) in that adulterous relationship, had justified him and all men who witnessed it or heard about it later. A justification that not only perpetuated the wickedness but failed to introduce the adulterous man to Christ’s love and forgiveness (his grace). As receivers of this great gift of grace, our role is not to condemn the sins of others, but to help others see how Christ’s love and forgiveness have transformed our lives. We cannot fight another person’s sin any more than we can fight another person’s battle with cancer. We can only share the gift that has brought us healing and health. The battle against sin (ours or theirs) is one that is won by individual choice. Therefore, we live our lives in freedom sharing the love and forgiveness of Christ, not focused on the sins that only Christ can redeem. Instead our efforts must focus on fighting the wickedness of injustice that exists all around us. Bringing justice where it belongs. That is the true measure of grace at work in our lives. Throughout the Bible, we can see God’s heart in matters of injustice. He doesn’t tolerate injustice (see Isaiah 1:17) and expects his children (that’s you and me) to fight against those who would do harm—by an unfair action or treatment—of others. Many have taken up that cause. The Mordecai Project fights to stop injustices against women. Stella’s Voice works on behalf of orphans. 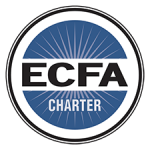 And here at Christian Life Missions, we work with these and many other causes. When we allow God’s grace to move through us, we no longer see the sin of others but the injustices of the world that he has purposed us to fight. 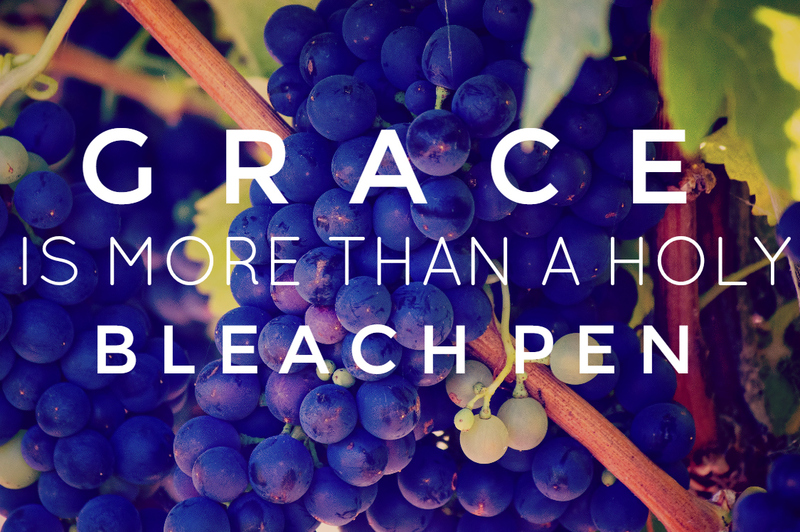 So how do you see grace: as a holy bleach pen or as a holy calling to fight injustice?